When the conversation turns to Jamie Shaheen and her highly-acclaimed children's sing-a-long show: "Everybody's Happy When They're Singing! ", people can't stop talking about how much fun, exhilaration and joy their youngsters experienced! 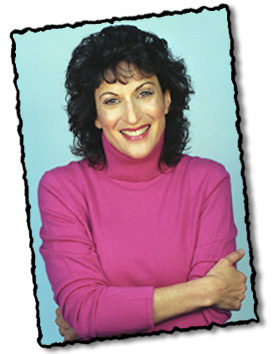 Jamie Shaheen, performer extraordinaire with The Walt Disney Company, has been delighting fans at Disney properties in Southern California and Disney tours across the United States and Canada – singing favorite songs, playing enchanting piano melodies and leading her wildly popular sing-a-long shows. Inspired by the magical reaction of children when invited to sing, clap and dance along to songs she was performing, Jamie sprang into action and created her own CD entitled "Everybody's Happy When They're Singing!" Sparkling with 10 brand new original songs, children will be introduced to a variety of musical styles, instruments and sing-a-long fun. These songs form the basis of the live show. Don't miss the opportunity to book a live performance of "Everybody's Happy When They're Singing!" starring Jamie Shaheen. Pottery Barn Kids Stores – Performer and 3 original songs featured on Pottery Barn Kids compilation CD "Let's Celebrate!" Jamie Shaheen is a member of the American Federation of Musicians, SAG-AFTRA and ASCAP.